Is the pain I feel normal? Have you ever asked yourself “Am I experiencing an abnormal amount or type of pain for my age?” It’s hard to know what “normal” is, but the reality is that the incidence of pain seems about the same among all age groups; what changes is the type of pain. People in their 20s and 30s often experience their most excruciating chronic pain in the form of headaches. As we enter middle age, back pain begins to rise to the top of the list. Finally, once we become seniors, arthritis can become our worst enemy. If this sounds familiar, it means your body is simply going through the natural stages of aging. However, this doesn’t mean that you should just accept living with chronic pain and attempt to “tough it out.” Many do not realize that chronic pain can also affect your brain, immune system, psychological well-being, and relationships. However, with the right lifestyle changes and supplementation, you can make dramatic improvements in how you feel. Pain affects more than just the body? Let’s start with the brain. Chronic pain changes the way that the brain works so much that poorly treated long term pain leads to what is essentially a form of brain injury. The front part of the brain, which is mostly associated with emotion, is constantly active in people with chronic pain. Chronic pain also causes structural changes in the brain that leads to more links than there should be between the parts of the brain that process pain, emotions, and stress. Pain also affects the biology of the immune system in similarly adverse ways. Persistent pain causes an increase in cortisol, which is the body’s primary stress-induced hormone. While the immune system actually needs a small of amount of cortisol to function properly, elevated cortisol levels for an extended period of time impairs both immune system cells and kidney function. Basically, your immune system cannot work at full capacity while the body is dealing with chronic pain and it leads to an inability of the body to deal with infections. Long term pain can affect us from a psychological standpoint as well. The unsettling realization that your pain may be a lifelong issue generates a varied mix of emotions that can often lead to depressive illness, fatigue, sleep disorders, chemical dependency, and difficulties at work. It is common that physicians who prescribe narcotics for management of chronic pain also prescribe anti-depressants because chronic pain and depression often come hand-in-hand. However, there are numerous natural anti-depression products on the market as well as natural solutions to improve your sleep. Before you reach for any kind of medications or supplements, it’s always smart to start with some simple, natural, everyday lifestyle adjustments first. 1. For starters, sometimes deep breathing and meditation techniques can do wonders for altering your perception of pain. Whether you are suffering from acute injuries or a chronic condition like fibromyalgia, the latest neuroscience research suggests meditation can help. According to the Mount Sinai Medical Center in New York, intense pain develops neurocircuits in the brain that create that perception and amplification of pain. Meditation helps downgrade this pain circuitry. To maximize the benefit from meditation and deep breathing, choose a peaceful meditation space, clear your mind, and take big and slow breaths. Consider taking a meditation class to hone your technique. 2. Making sure you adhere to a regular exercise routine is an important (albeit initially counter-intuitive) step in reducing the suffering associated with chronic pain. While it is tempting to just lie in bed all day when suffering from joint or back pain, studies show that those who stay physically active and flexible manage their pain much better than those who do not. In part due to the boost of endorphins that comes with it, exercise improves your pain threshold. It also makes you stronger to lower the risk of re-injury and helps you sleep better. But the most important exercise-related advice that I can convey to you regarding pain management is to never stop moving. Deconditioning, or getting “out of shape,” is one of the leading causes of chronic pain and joint instability. But you must be persistent because when you are deconditioned, it is harder to get back to where you need to be. And of course, when suffering from chronic pain, talk to your doctor to find an exercise routine that works for you and your condition. 3. Your diet can play a major role in your level of pain causing inflammation. Certain foods containing omega-6 fatty acids, such as corn and sunflower oil, red meats and animal fats, are “pro-inflammatory.” While omega-6s are considered essential fatty acids, a diet rich in them causes chronic systemic inflammation within your body. Research suggests that our hunter/gatherer ancestors consumed a 1:1 ratio of omega-6 to and omega-3 fatty acids. Omega-3s are primarily found in fish and certain plant sources such as nuts and seeds. Modern-day research finds that our current omega-6 to omega-3 fatty acid intake ratio is nearly 25:1. This is troubling because high levels of omega-6s lead to high levels of inflammation within the body that can ultimately lead to chronic diseases such as cancer, heart disease, arthritis, Alzheimer’s and, of course, pain. Shifting your diet can help calm inflammation. Start by increasing your intake of fruits, vegetables, whole grains, and omega-3 fatty acids (like EPA/DHA, which I will discuss later) to combat the inflammatory effects of omega-6s. 4. Lastly, try getting regular massages. According to the Archives of Internal Medicine, massage is effective for providing long-lasting relief for patients suffering from chronic low back pain. Additionally, the American Journal of Public Health has found that massage therapy can relieve pain brought on by chronic tension headaches. Whether you see a trained professional or get a friend or loved one to do it for you, massage can bring you significant pain relief and help relax the mind. For most people, pharmaceutical options are the first solution tried for pain relief. With nonsteroidal anti-inflammatory drugs (NSAIDs) like ibuprofen, antidepressants, or something more powerful like morphine, there is a perception amongst many people that the pharmaceutical solutions are the most effective and that natural solutions just won’t be potent enough for their level of pain. However, this is far from the truth and natural solutions should always be given a chance. While pharmaceutical pain management products have brought substantial relief to many people, they can come with unpleasant side effects like nausea, fatigue, weight gain, and stomach/digestive issues. NSAIDs, in particular, have been shown to cause kidney failure. Further, long term use of narcotics can cause an increased sensitivity to pain (not a decrease of pain) through up-regulation of the morphine receptors. The case for switching to natural solutions for pain relief becomes particularly compelling when you realize that not only do natural supplements have fewer side effects, but the justification for their use is also rooted in science. 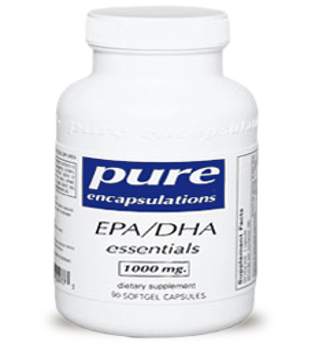 EPA/DHA – Among the most prominent effective natural supplements for chronic pain relief is EPA/DHA (fish oil). EPA/DHA is a great source of omega-3 fatty acids which, as I mentioned earlier, are vitally important in combating the inflammation that causes chronic pain. According to Harvard Medical School, EPA/DHA can dampen inflammatory and postoperative pain by acting on receptors in immune cells and neurons to normalize exaggerated pain. Additionally, a study by the University of Pittsburgh Medical Center found that although NSAID medications (like ibuprofen and others) are well-established in helping with acute and chronic neck and back pain, “extreme complications, including gastric ulcers, bleeding, kidney failure, myocardial infarction, and even deaths, are associated with their use.” Because of these findings, their research team suggested using omega-3 fatty acids (like EPA/DHA) as an alternative treatment that reduces pain and inflammation with fewer side effects. Natural enzymes – One of the best known of these is bromelain. Bromelain, derived from pineapples, has been clinically demonstrated to show both anti-inflammatory and analgesic (pain-killing) properties without any serious adverse effects. A research review published in the journal Arthritis Research & Therapy found that bromelain was at least as effective as certain NSAIDs in treating osteoarthritis. The key behind bromelain’s effectiveness is its mediation of prostaglandins to reduce inflammation and its influence on pain mediators such as bradykinin. Bromelain may have a synergetic effect when paired with certain other natural enzymes. For instance, the National Institutes of Health believes that when bromelain is paired with trypsin and rutin (found in certain fruits and vegetables) it may be about as effective as some prescription painkillers. Some studies have shown that when you pair trypsin with a similar enzyme, chymotrypsin, significant improvements in certain types of back and leg pain can occur. Since enzymes and extracts like bromelain, trypsin, chymotrypsin and rutin all work together so well, Douglas Laboratories offers a combination of them all, along with some other helpful ingredients, in one highly popular product called Wobenzym N.
Lastly, since chronic pain is often accompanied by depression and the inability to get quality sleep, I highly recommend Best-Rest Formula for those struggling with pain management. Its unique formulation includes well-known ingredients that are believed to boost mood, like GABA, valerian, passion flower and chamomile. But, of course, always speak to your doctor if you feel that your depression is too severe to be managed on your own. I hope this information is helpful in improving your health and wellness and living pain free. If you have any questions about the products or suggestions discussed here, or need help placing your order, our customer service team is standing by and ready to assist you in any way they can. You can reach them by phone at (888) 460-3091 or you can email them at: customerservice@oakwaynaturals.com. Until next time, stay healthy! Chronic pain changes the way that the brain works so much that poorly treated long term pain leads to what is essentially a form of brain injury. The front part of the brain, which is mostly associated with emotion, is constantly active in people with chronic pain. 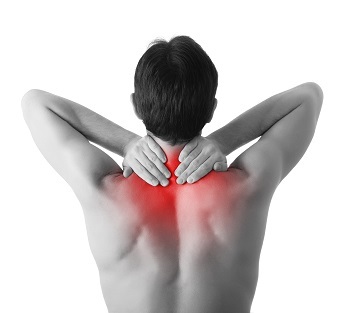 Persistent pain causes an increase in cortisol, which is the body’s primary stress-induced hormone. While the immune system actually needs a small of amount of cortisol to function properly, elevated cortisol levels for an extended period of time impairs both immune system cells and kidney function. The unsettling realization that your pain may be a lifelong issue generates a varied mix of emotions that can often lead to depressive illness, fatigue, sleep disorders, chemical dependency, and difficulties at work. Sometimes deep breathing and meditation techniques can do wonders for altering your perception of pain. Whether you are suffering from acute injuries or a chronic condition like fibromyalgia, the latest neuroscience research suggests meditation can help. Another helpful option may be getting regular massages. According to the Archives of Internal Medicine, massage is effective for providing long-lasting relief for patients suffering from chronic low back pain. Additionally, the American Journal of Public Health has found that massage therapy can relieve pain brought on by chronic tension headaches. Making sure you adhere to a regular exercise routine is an important (albeit initially counter-intuitive) step in reducing the suffering associated with chronic pain. While it is tempting to just lie in bed all day when suffering from joint or back pain, studies show that those who stay physically active and flexible manage their pain much better than those who do not. In part due to the boost of endorphins that comes with it, exercise improves your pain threshold. It also makes you stronger to lower the risk of re-injury and helps you sleep better. Your diet can play a major role in your level of pain causing inflammation. Certain foods containing omega-6 fatty acids, such as corn and sunflower oil, red meats and animal fats, are “pro-inflammatory.” While omega-6s are considered essential fatty acids, a diet rich in them causes chronic systemic inflammation within your body. Research suggests that our hunter/gatherer ancestors consumed a 1:1 ratio of omega-6 to and omega-3 fatty acids. Omega-3s are primarily found in fish and certain plant sources such as nuts and seeds. Modern-day research finds that our current omega-6 to omega-3 fatty acid intake ratio is nearly 25:1. Shifting your diet can help calm inflammation. Start by increasing your intake of fruits, vegetables, whole grains, and omega-3 fatty acids to combat the inflammatory effects of omega-6s. For most people, pharmaceutical options are the first solution tried for pain relief, there is a perception amongst many people that the pharmaceutical solutions are the most effective and that natural solutions just won’t be potent enough for their level of pain. However, this is far from the truth and natural solutions should always be given a chance. Bromelain, derived from pineapples, has been clinically demonstrated to show both anti-inflammatory and analgesic (pain-killing) properties without any serious adverse effects. A research review published in the journal Arthritis Research & Therapy found that bromelain was at least as effective as certain NSAIDs in treating osteoarthritis. The key behind bromelain’s effectiveness is its mediation of prostaglandins to reduce inflammation and its influence on pain mediators such as bradykinin. Bromelain has a synergetic effect when paired with certain other natural enzymes. For instance, the National Institutes of Health believes that when bromelain is paired with trypsin and rutin (found in certain fruits and vegetables) it may be about as effective as some prescription painkillers.